Today, with the rapid growth in analog and digital transmissions, including DDS, ISDN and DSL, networks require more quality checks before turn up and a higher level of troubleshooting when lines develop faults. The latest version of the 4934A steps up to the challenge. With its expanded 200 kHz capability, the 4934A provides the essential level, frequency and noise TIMS measurements. With an RS-232 port for remote control and FLASH memory for software downloads. The 4934A makes commissioning new lines easy and helps diagnose troubles quickly and accurately by delivering the measurements you need in a highly portable and rugged package. It's easy to translate written test procedures into a few self-explanatory keystrokes. 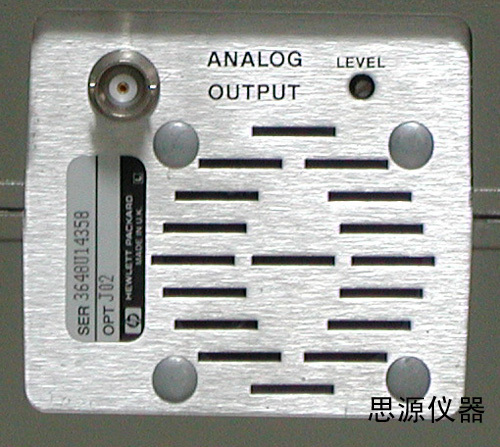 The J2527A TIMS interface for the Agilent Advisor provides basic analog tests to qualify circuits for voice and data. Operation of the J2527A is based on the industry standard family of TIMS products: 4934A, 4935A and 4936A. This TIMS provides the basic analog tests to isolate faults and qualify circuits for voice, data or broadcast transmission at frequencies from 20Hz to 110 kHz. Also useful in verifying telephone company tariffed parameters and work with other TIMS or automatic test equipment in the telephone network. The 4935A/4936A Transmission Impairment Measuring Sets provide the basic analog tests to isolate faults and to qualify circuits for voice, data or broadcast transmission at frequencies up to 110 kHz. The 4935A is compatible with Bell standards and the 4936A is CCITT compatible. 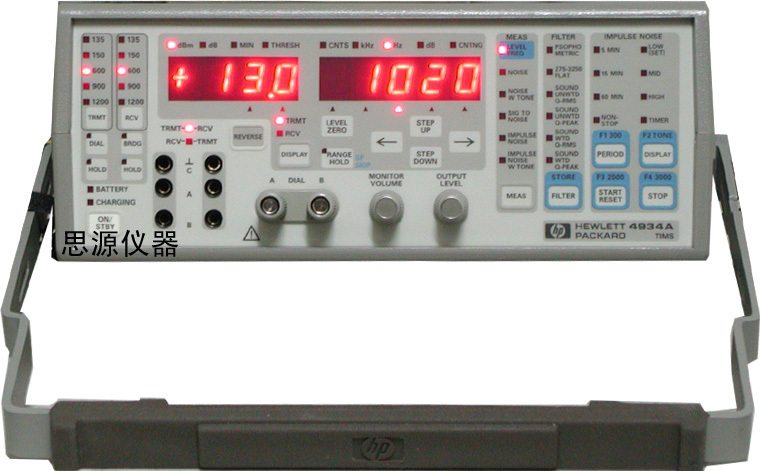 Both of these test sets provide measurements of level versus frequency, noise with various selectable filters, Signal-to-Noise Ratio, Noise with Tone, Three-level Impulse Nose and 4-wire single frequency return loss. The 4935A performs the required tests to qualify the local loop for Digital Dataphone Service up to 56 kbps. The Peak-to-Average-Ratio (P/AR) measurement option on the 4935A gives system users a powerful yet simple measure of the combined factors which effect the overall data transmission quality. Telephone companies, PABX and other telecommunications equipment service people will find the 4935A/4936A has the analog testing capability they need. Both instruments include standard dial and hold capabilities, independent transmit and receive impedances, level zero function, SF skip and complete unit annunciation. The 4925A Bit Error Rate Test Set sits on the digital interface (see network diagram) and measures the integrity of the data link to properly transmit and receive error free data. The 4925A was designed to isolate and identify problems encountered in a data communications environment up to 72 kbps. Digital testing allows you to perform bit error tests, data throughput analysis and to test terminals, printers and statistical multiplexers for proper operation. The HP 4295A is more than just a bit error rate test set. In addition to the standard bit and block error tests, the 4925A measures errored seconds, percent error-free seconds, timing delay, and parity errors. Increased flexibility is afforded by providing you with the ability to verify various elements of Level 1 protocol in the form of a complete breakout box. You can manipulate and monitor individual signal lines on the RS-232C/V.24 interface or crosspatch any line from the DCE side of the interface to the DTE side of the interface. In addition, the 4925A adds to its arsenal the ability to frame data for testing character-oriented systems. The 4925A also transmits the FOX message to terminals and printers. Three separate start-up tests enable dynamic testing of modems. This makes the unit extremely useful in isolating faults related to the following modem functions: automatic equalization, receive carrier recovery, receive clock synchronization and initial recovery of received data. The start-up tests consist of an end-to-end half-duplex ping-pong test, a local modem loopback test primarily designed to test multi-drop systems and a test specifically designed to use the remote testing capabilities of the Bell 208B modem. Indented primarily for field service installation and maintenance, the 4925A weighs only three pounds with batteries. When ordered as option 001, the 4925A will fit in place of the cover of either the 4935A or 4936A. Option 001 deletes the small vinyl carrying case. Both the 4935A/4936A and the 4925A are easy to use, allowing reduced training time, fewer operator errors and reduced testing times. The HP 4935A/4936A guides you through the measurements by activating only the proper keys for each selection. Each selected function is indicated on its own LED and there is a beep when a key is pressed. Complete annunciation displays the selected measurement, proper units for each measurement and error messages if there is a problem with either the measurement or the instrument. Intelligent microcomputer control and full alphanumeric display capabilities simplify operation of the 4925A. At power up, it automatically sets up a typical testing configuration of a 5-minute bit error count, block error count and errored second count at 1200 bps with a 511 PRBS. If the test set-up needs to be modified, just press the appropriate button and scroll through the menu until the proper configuration is set.